Since 2011, the Liberal/National Government has cut $1.7 billion from education and training, sacked 1100 TAFE teachers and support staff, cut TAFE courses and slashed class contact times and drastically increased student fees by up to thousands of dollars. In 2015 alone, fees have risen significantly, with 40 per cent of students being slugged an extra $500 to $1500 for courses. Quality education and training is the key to a better job, a better career and a better life — that’s why Labor is committed to investing in skills and training and ensuring we have a fair and equitable TAFE system. A Labor Government will invest an additional $100 million to help make TAFE affordable and accessible for everyone in NSW by winding back the privatisation of TAFE and stopping the course cuts and fee hikes. The funding will also allow TAFE institutes to reinstate vital courses which have been cut, and restore support services for students. commission a review of education and training post-Year 10. The Gonski reforms are the finest educational blueprint this country has ever seen. It was Labor who designed the reforms — and it is NSW Labor who is determined to see every dollar delivered for NSW students. I am proud to belong to the political party that pledged to transform the way we funded schools to ensure the focus was on those who needed it most. This Government hasn’t stood up to Tony Abbott — but Labor will. Gonski was never a four-year program. The big gains come in those fifth and six years of the agreement. The next Labor Government is determined to ensure one of our first acts is a formal delegation to Canberra to put pressure on Christopher Pyne to honour the deal. Labor is determined to support our most vulnerable children and those with special educational needs. We will continue to invest heavily in support teachers as well as reinstate disability support funding for the TAFE sector. The roll out of the full six years of Gonski funding is a critical way we can ensure students with special educational needs get the resources and funding they need to achieve the outcomes they deserve. Labor will invest over $1 billion extra in additional school and educational infrastructure to meet the expectations of teachers, parents and students across our NSW schools and TAFE colleges. This will include new schools in growth areas across NSW as well as upgrades to existing facilities and classrooms for the benefit of our young people. A Labor Government will dedicate an additional $100 million to replace ageing demountable classrooms across NSW with permanent, air-conditioned classrooms - to give our students the world-class facilities they deserve. Our school facilities should reflect the high priority we place on education. Under a Labor Government, the schools with the oldest and highest number of demountables will receive priority through Labor’s additional $100 million. Labor understands that the work demands of our teachers are changing. That is why by restoring a strong Industrial Relations Commission, we will enable public education teachers to run a work value case for the next new Salaries and Conditions Award, making sure future negotiations are carried out in an informed way that reflects the challenges of modern day teaching. At the beginning of this term of government, the Coalition announced what they call ‘Local Schools, Local Decisions’. The spin was simple: Principals, not back office bureaucrats, are the best managers of their school. The Government used this policy to decimate the department and cut important consultancy support for schools. But don’t worry, we were told; the principal can employ or not employ the services they need. Just like in the health system, this policy is making sure that the principal delivers the bad news, even though their hands are tied by a budget allocation from treasury. Labor doesn’t believe this is the way to go. We are committed to ensuring we have a Staffing Agreement in place that delivers on current class sizes, maintains a fair transfer system and ensures permanency in employment for teachers. It was a Labor Government who increased the number of teachers in NSW schools and delivered the K–2 class size reductions. We included protection of class sizes in the Staffing Agreement that was negotiated during our time in Government. We will provide the same protection over the Teacher Staffing Entitlements for schools by including these in the Staffing Agreement. Gonski: Labor can rightly claim credit for commissioning the Gonski schools funding review. It is significant that Labor is united in pursuing the full six years of Gonski funding at the state and federal level. Labor’s rejection of the Local Schools, Local Decisions agenda is laudable. It recognises the damaging effects on schools of the cuts to non-school based teaching and support positions. Similarly, Labor identifies the risks for principals and schools when governments use devolutionary policies to embed the mechanisms for longer-term funding cuts. Labor acknowledges that principals will be left with the job of explaining the problems and justifying the shortfalls to parents and the community, if a future government freezes or cuts the school budget. TAFE: NSW Labor has pledged to stop the increasing privatisation of TAFE by capping the level of contestable funding at 30 per cent. This is a significant act. It is the first time in many years that Labor is saying “enough” to those who seek to privatise TAFE. The 30 per cent cap signals that NSW Labor is committed to maintaining TAFE as the major provider of vocational education and training. It is a highly commendable policy shift that has the potential to influence the national agenda on TAFE. School staffing: Labor’s commitment to include the teacher staffing entitlements in the staffing agreement is significant. This will provide important protection of classroom, executive and specialist teacher positions against the push to deregulate staffing through devolutionary policies. Labor re-affirms the importance of maintaining the transfer system, permanency for teachers and current class sizes through the staffing agreement. Their action to reduce K-2 class sizes and protect all class sizes in the staffing agreement has been important in improving student learning outcomes. 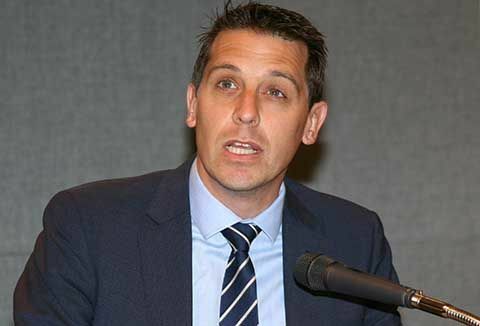 Salaries: While not mentioning the current 2.5 per cent salary cap, Labor pledges to restore the right of public education teachers to pursue a work value case on salaries and conditions in the Industrial Relations Commission. Special education: Labor relies on its commitment to implementing the full six years of Gonski funding to address the needs of students with disability and special needs. It will be important that Labor acts on this commitment by continuing to pressure the Abbott Government to reverse its decision to renege on the Commonwealth’s funding commitment to students with disability. School buildings and facilities: Labor acknowledges the longstanding underinvestment in capital works and maintenance and pledges to spend $1 billion extra. They will also replace ageing demountable classrooms with permanent, air-conditioned buildings at a cost of $100 million. While Labor does not pledge to match the Coalition’s spending on infrastructure it is not making such investment dependent upon the privatisation of electricity “poles and wires”.